Link building can be incredibly effective, but sometimes a lot of effort can go into earning links with absolutely no improvement in rankings. Why? 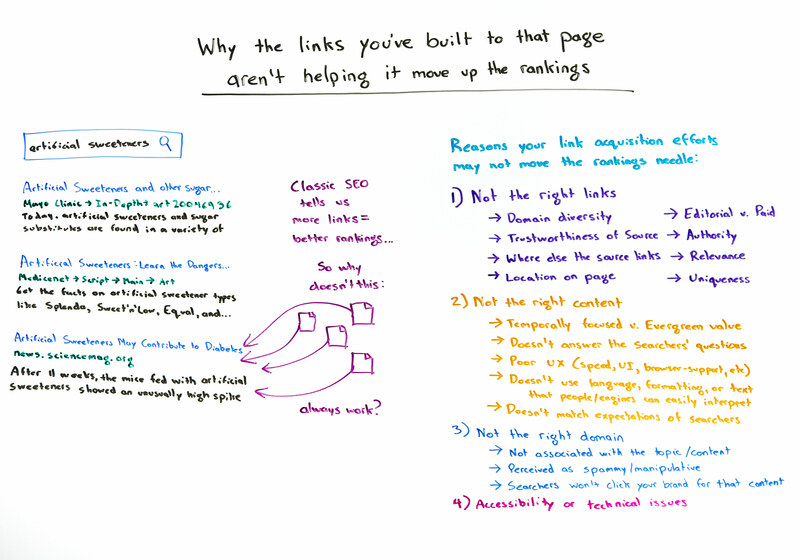 In today's Whiteboard Friday, Rand shows us four things we should look at in these cases, help us hone our link building skills and make the process more effective.